Happy Wednesday! It's also the the 15th of the month and that means a super new challenge at SCRAP AFRICA. 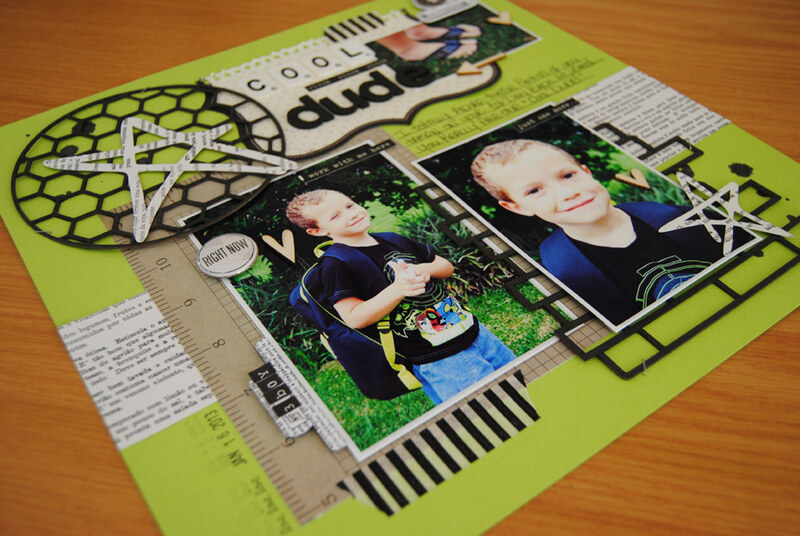 This challenge is to use at least 1 chipboard piece on your project! This challenge is sponsored by Design Worx, who not only have sponsored the prize, but also chipboard pieces for the DT to create with! Thanks so much to Yola for this super opportunity. Design Worx offers decorative lasercut material in exceptional and original designs. Design Worx scrapbooking range originated from the scrapping tables of passionate scrapaholics, and their ever increasing product range, aims to capture the finest detail of every special moment. Design Worx can produce tailor-made products on demand, from any laser-able material. Please visit their website and gallery to see their wonderful products. Here is the layout I put together for this challenge, I absolutely LOVE these chipboard pieces, they were SO much fun to play with!!!! You see what I mean about these chipboard pieces being awesome!?!? Don't you think my little guy is just adorable, I LOVE these photos of him taken on his first day of Grade R in January this year! PLEASE stop by the SCRAP AFRICA blog for more inspiration from the rest of the DT girls, we have all created such amazing layouts and other projects!!! Can't wait to see what you create, for this fun and easy challenge!!!!! Awesome page Rene!! Love the colors and design and the use of the chipboard is really fab!! Beautiful page Rene and love how you used the chippies! Love the colouring too, along with the super photo's of your boy! Fabulous! Thanks so much for the lovely comment Ashley, you are always so good to do it! I just love those cute toes! Definitely a "cool dude" of note. Love you guys! Such a bright n bold page :) Great page! Adorable Rene! 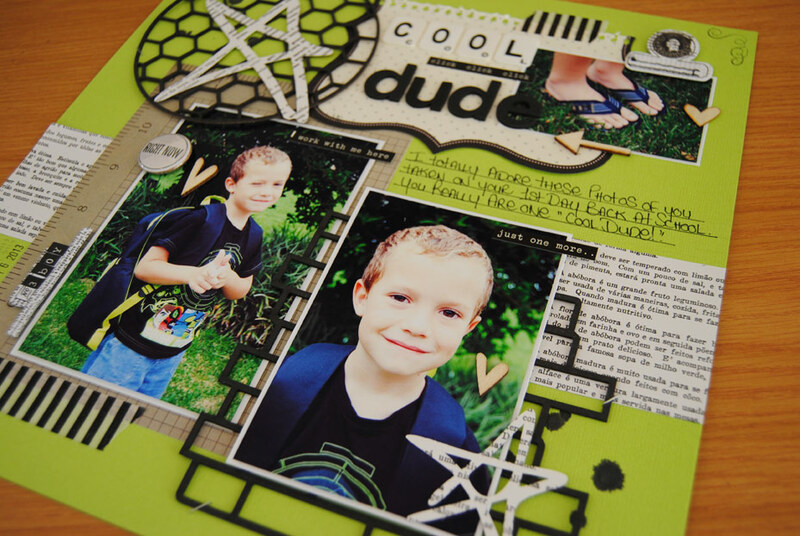 Love that chipboard and your super sweet boy!